Window coverings do more than simply frame your windows; they are responsible for controlling light, providing privacy and even protecting your furniture. Interior shades are a great option for your home. 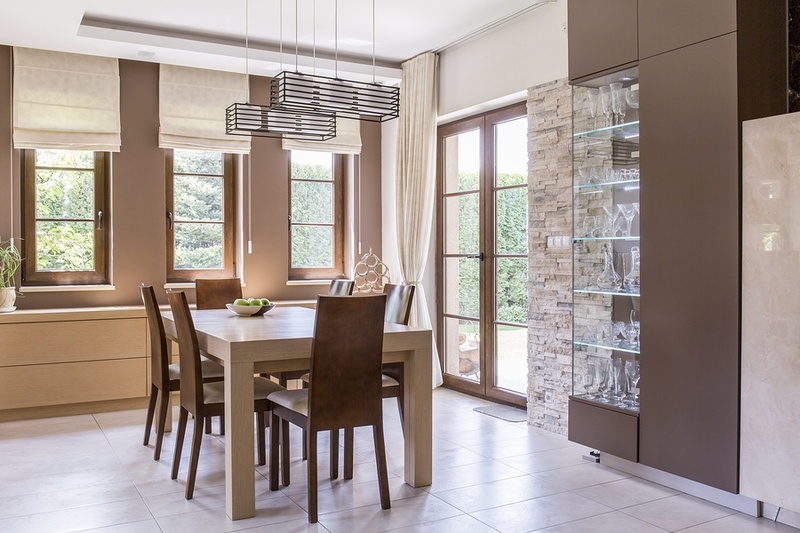 For the ultimate in safety, beauty and functionality, consider installing motorized shades with a number of benefits you can't afford to be without. Motorized shades can be controlled remotely using an electronic control device that gives you the freedom to adjust your shade with the touch of a button. In addition to the convenience, remotes are ideal for anyone with mobility issues or for shades in hard-to-reach places, such as behind furniture or above an entryway. Increased energy efficiency - Interior shades can help block out the harmful UV rays of the sun, which can cause fabrics, art, and furniture to fade. They can also help to prevent heat gain during daylight hours, reducing the cost of cooling your home. Enhanced safety - Make your home look occupied during times you are away for extended periods of time by setting the timer to automatically open or close your shades as desired. An added alarm clock - Schedule your shades to open at a set time each morning. Flooding the room with light will help you wake up, and because there’s no snooze button, you’ll be able to rise out of bed easier than with a traditional alarm clock. Download the corresponding Somfy MyLink appto control your shades from anywhere you have an internet connection. This option is ideal for times you are away from home longer than expected, experience changes in the weather, or for enhanced privacy or security. Motorized window shades can be integrated with your existing home automation system or virtual assistant, such as Amazon Alexa. Ask Alexa to adjust one or more interior shades as needed without lifting a finger and enjoy smooth, quiet operation that instantly transforms the look and feel of any room. Motorized shades are the perfect addition to every window in your home and come with a limited lifetime warranty. Call us today at 877-260-6110 to learn more about the benefits of motorized shades, or contact us online to schedule a free in-home consultation.